Snap Collar Locators: These tube notching accessories simply snap onto the tube and can be rotated or slide into position during layup. They're a handy way to keep reference especially when rotating or flipping a tube around to make a second cut. A quick and easy rotational indexer! 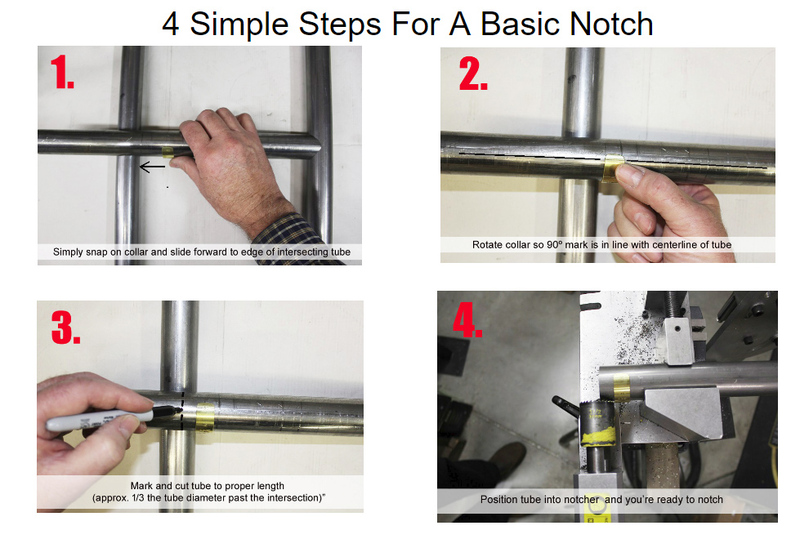 "this little tool makes notching and drilling so much easier! - Dan Churchill"
Snap Collars simply snap onto the Sch40 Pipe and can be rotated or slide into position during layup. They're a handy way to keep reference especially when rotating or flipping a Sch40 Pipe around to make a second cut.